In summer 2019 Bampton Classical Opera will present Stephen Storace’s lively two-act comedy about unhappy newlyweds Gli sposi malcontenti (1785), under the title Bride and Gloom. The company has already staged Storace’s other Viennese opera Gli equivoci (The Comedy of Errors) with great success in 2000-1. The production will be designed and directed by Jeremy Gray, conducted by Anthony Kraus and will be sung in English. Stephen Storace’s Gli equivoci (The Comedy of Errors), one of the most significant of the many little-known operas staged by Bampton Classical Opera over the past 25 years, proved to be a revelation. The Times commented: ‘the forgotten Storace, like steak-and-kidney pudding, is a victim of the inverted snobbery of the English’ and praised the ‘brilliantly handled’ extended ensemble finales, the ‘deft and delicate scoring’ and the surprising maturity of this 24-year-old English composer, collaborating at that time in Vienna with Lorenzo da Ponte. A year before Gli equivoci, in 1785, Stephen was commissioned by Emperor Joseph II to produce his first opera Gli sposi malcontenti. The commission undoubtedly stemmed from the Emperor’s infatuation with Stephen’s sister, Nancy Storace, then engaged as prima donna in the imperial Viennese Italian opera. Despite little experience as a composer, Stephen had absorbed many of the latest musical trends through his recent travels in Italy with his sister, and in Vienna through his close friendship, and perhaps study, with Mozart. Although the first performance of Sposi was hardly smooth – Nancy lost her voice during the first act and retired from the stage for several months – it nevertheless entered the repertory of the Burgtheater and was subsequently well-received in Prague, Leipzig, Vienna and Paris. As with Salieri’s La scuola de’ gelosi and La grotta di Trofonio, both performed by Bampton in recent years, Gli sposi malcontenti was one of a web of rival operas which had their direct effect on Mozart and Da Ponte in the creation of Figaro and Così fan tutte – a frenetic quintet involving hiding on and behind a sofa and a whirlwind finale of mistaken identities in the garden suggest that Storace’s librettist Gaetano Brunati knew Beaumarchais’ then-banned play Le mariage de Figaro. 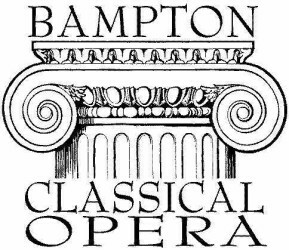 Further details of Bampton Classical Opera’s production including casting will be announced in due course. Bampton Classical Opera stages productions in rural venues in Oxfordshire and Gloucestershire as well as regularly in London at St John’s Smith Square. Other significant venues and festivals have included Wigmore Hall and Purcell Room, Buxton Festival, Cheltenham Festival and Theatre Royal Bath. Eschewing familiar repertoire, Bampton concentrates instead on rarities from the late eighteenth century, sung in lively new English translations, and has given many enterprising performances of forgotten operas. Amongst these have been UK premières of Bertoni Orfeo, Marcos Portugal The Marriage of Figaro, Paer Leonora, Benda Romeo and Juliet, Gluck Il Parnaso confuso, Philemon and Baucis and Salieri Falstaff.